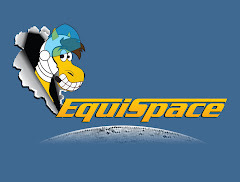 EquiSpace: It's a Racing Festivus 2011! It's a Racing Festivus 2011! It's that time of year where we dance around the Festivus Pole and discuss Racing’s 2011 Feats of Strength and Airing of Grievances. If you remember we had our initial Festivus post in 2009, and came right back in 2010. We're all about tradition here at Space Central. - Rapid Redux’s Streak. Was there any question that the little starter allowance engine that could, would crack our Festivus Feats of Strength list after winning 21 straight, 19 in 2011? - Resorts World Casino Construction Workers. The Aqueduct racino project that was completed, pretty much on time, in New York, nonetheless? - Pletcher’s Saratoga Meeting. The Toddster just blew them away at the summer place to be. His 38 training wins was unprecedented and his nearest challenger, Mechanicville native Chad Brown, had 22 wins. - First Female Jock to Win Big Cap. She had to sweat out a ten minute inquiry, but Canadian jock Chantal Sutherland became the first female to ride the Grade 1 Big Cap winner Game On Dude at Santa Anita Park in March. - ESPN anchor Stan Verritt. Courier-Journal vet Jennie Rees took him to the woodshed for his asinine comments about Rapid Redux. Good thing they don’t cover horse racing….uh wait…oh. She’d like to send a big Animal House float over to Bristol, care of Mr. Verritt. - Maryland’s cluster___. Frank from That’s Amore Stable has his annual grievance airing on the state of Maryland racing, some things never change. - NYRA $0.50 Pick-3 wager. C’mon man, you gave us the $0.50 Pick-4, cough up the Pick-3, you can do it. I won’t even ask for the 50 cent tri this year (but if you give me the P3 this year, I’ll be sure to ask next year). - Secretariat’s Belmont Scene. Really Disney, you filmed it at Keeneland? The biggest and most historic scene in the movie and it was filmed on polycrap? If you have any of your own grievances to air, feel free to air away in the comments, tiz the season, you know. Merry Festivus, one and all! Under feats of strength, I'd add the construction workers at Churchill who so quickly repaired all the barns and backstretch housing after the summer tornado so the facility was ready for the Breeders Cup days. Thaks, Geno -- but I could have aired a lot more grievances if I had realized it was part of Festivus! Anyway, happy Festivus.